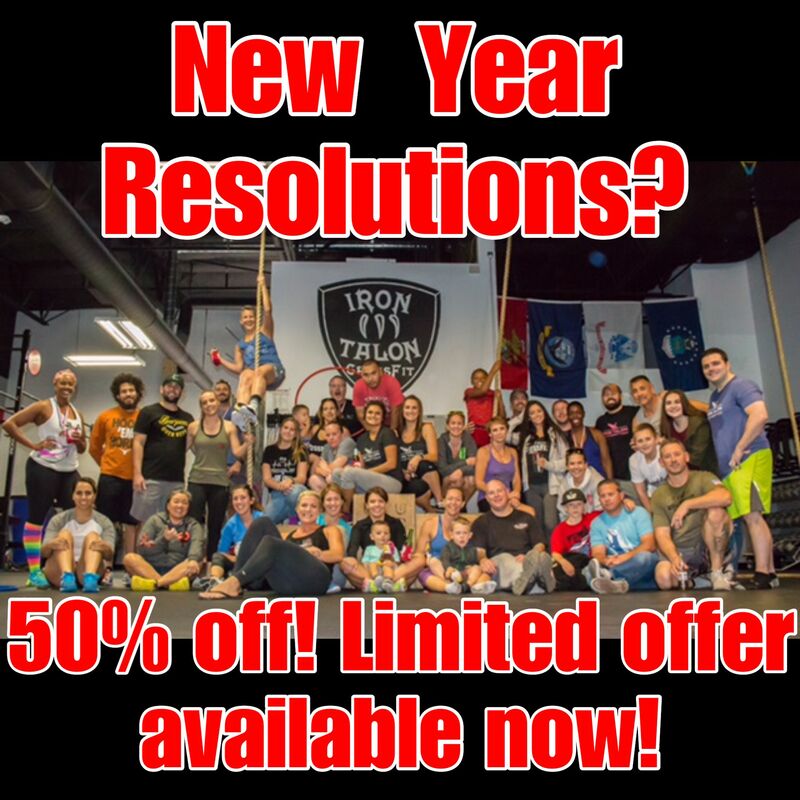 New Years package includes a 5 class foundations course, 2 months of unlimited CrossFit classes (plus the remaining month after you finish your foundation classes), nutrition seminar (Sat Jan 6th, 10am at Iron Talon CrossFit) and a 5 week nutrition challenge. $100 to start and then automatically billed $100 each month on the 1st for the following 2 months. How does this work? Example- You pay $100 December 15 but want to start foundations on Jan 2 and finish Jan 9, the rest of January is free. You are then billed $100 on Feb 1st and March 1st. Total value of this package is $600, now $300. Once you register you will be contacted to schedule your foundation classes.